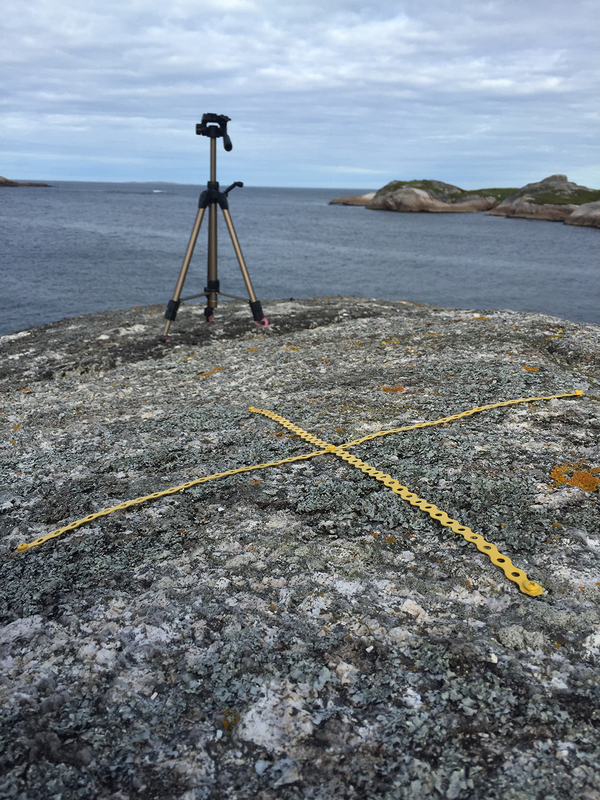 a four-artist project by the CTG Collective with works by Rachel Monosov (Israel), Terrence Musekiwa (Zimbabwe), Yapci Ramos (Spain) and Justin Orvis Steimer (USA), in collaboration with Pool’s Island descendent Matthew Evans. 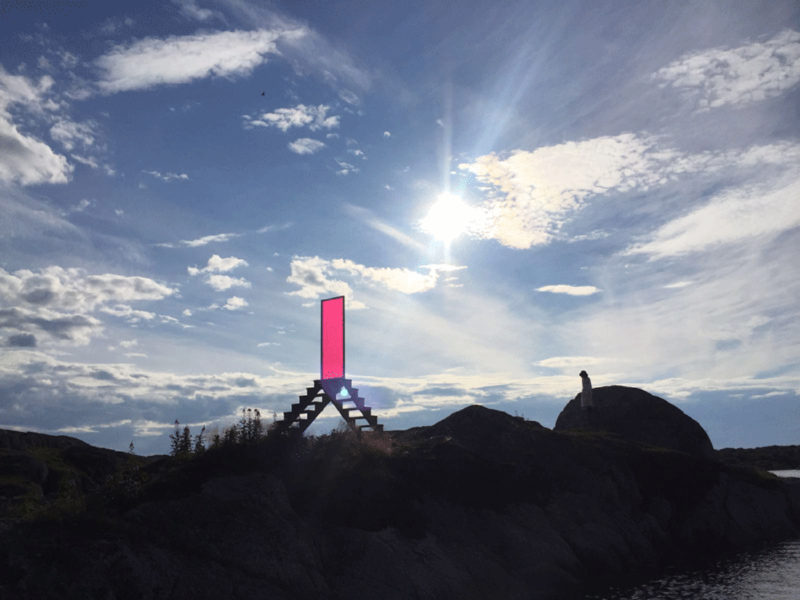 Rachel Monosov’s sculpture, Impossible Meeting Point, stands over 12-feet tall, secluded on an islet accessible only by boat. The work consists of two staircases uniting in a frosted pink glass high above the ground – a poetic suggestion of two lovers climbing towards one another but unable to touch. Hailing from the land locked nation of Zimbabwe, this is Terrence Musekiwa’s first time on an island. 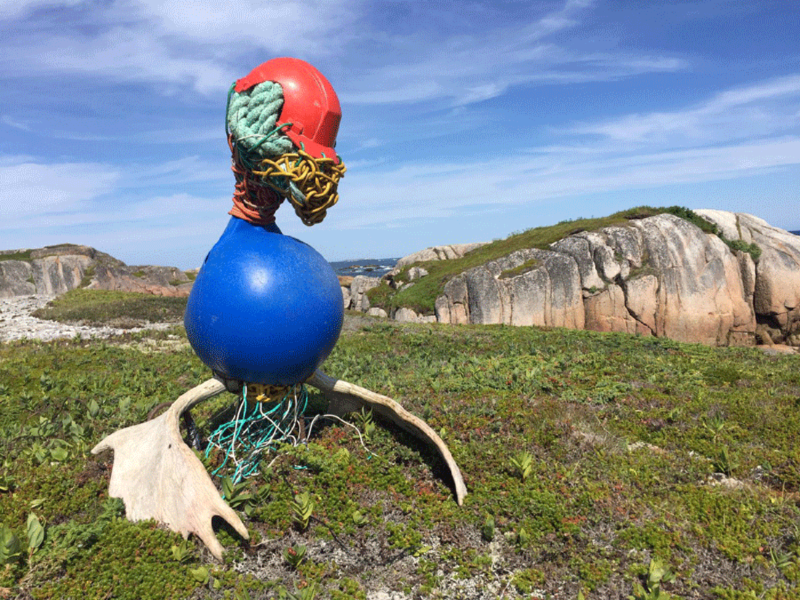 His eerie sculpture, God of the Ocean, descends from stone to water on a small peninsula, donning moose antlers for legs, a mangled buoy as body, fishing rope and wire for a face, and a red hardhat to boot. Justin Orvis Steimer paints energy in Gatekeepers of the North. 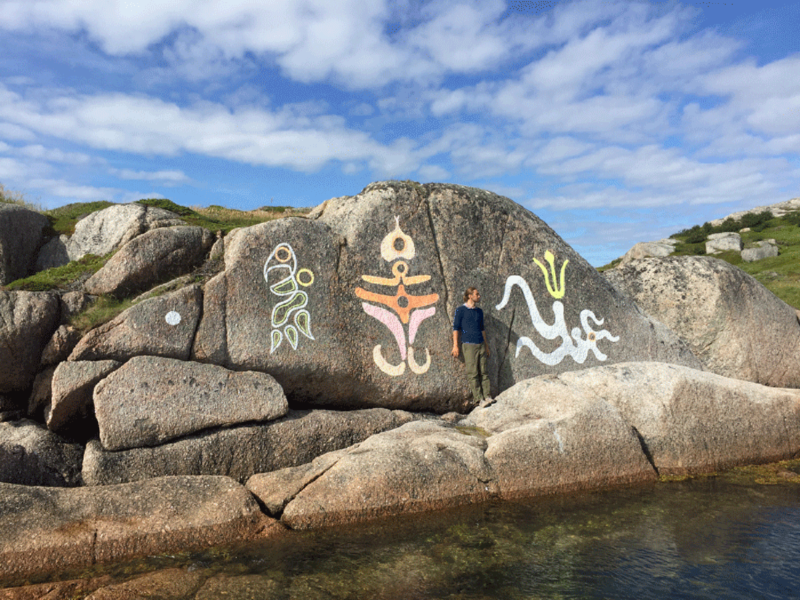 On a mammoth stone close to the artists’ campsite, Steimer focuses his attention on his environment, translating the metaphysical essence of the place into an ever-evolving physical vocabulary. The stone’s color, geometry and imbedded energy affects the finished result as much as Steimer’s own hand and paint.